Marabella Commercial Finance secures financing for America’s triple net lease properties. Our diverse network of Direct Lenders, CMBS and CTL lenders, investors and managed funds have billions to lend for single and multi-tenantMarabella arranges financing for single tenant triple net leased properties like Walgreens, CVS, Jack In The Box, McDonalds, Autozone, Oreilly’s and others. permanent loans, construction loans and preferred equity programs. These relationships allow us to offer both traditional and high-leverage financing for credit tenants like Walgreens, CVS, Jack In The Box and others. Clients of Marabella receive world-class service at every step of the loan process. We’re passionate about commercial financing and guiding principal buyers, investors, real estate agents and brokers to a successful close. Walgreens Co., is the largest pharmacy chain in the United States and has an investment-grade credit rating of BBB with Standard & Poors rating agency. We offer permanent, construction, preferred equity and participation financing for Walgreens credit leased properties. Marabella Commercial Finance, Inc. has originated over $150,000,000 in loans for Walgreens Stores throughout the country – 35 and counting! We understand all facets of arranging financing for Walgreens occupied properties. On behalf of our clients and through our diverse network of Lending Sources, Marabella offers a variety of loan structures at the lowest possible rates for Walgreens pharmacy properties. 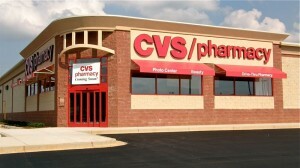 We arrange financing for CVS Caremark, Inc pharmacy properties located across the United States and Puerto Rico. Marabella’s financing options include CVS permanent, construction, preferred equity and participation financing for existing stores. We have closed a number of CVS transactions over the years at excellent rates. Our network of Direct Lenders have billions to lend on CVS properties and we are able to finance multiple pharmacy locations with a wide array of financing sources. Click here for our current CVS loan rates. With a total shareholders equity of $437M, Jack In The Box represents 2,200 locations throughout the United States. Marabella has extensive experience arranging financing for Jack In The Box Landlords and Buyers – 21 locations and counting! Our diverse network of Lending Sources allow us to offer permanent, construction, preferred equity and participation financing for Jack In The Box net lease properties. 7-Eleven, Inc, is the largest chain in the convenience retailing industry and continues to experience rapid growth. Based in Dallas, Texas, 7-Eleven operates, franchises or licenses more than 9,200 7-Eleven® stores in North America. Marabella has had the opportunity to finance a number of 7-Eleven stores including gas station properties. On behalf of our Borrowers, we offer permanent, construction, preferred equity and participation financing for 7-Eleven net lease properties.